We welcomed Carrie Davis-Sydor and Sean Ewington to give our first presentation on behalf of Codeproject, one of the first coding communities in the world! Codeproject incase you hadn’t heard (which we are sure you have), is a wonderful resource for computer programmers of any level. Rich with articles and quick tips and tricks, you can copy and paste code straight from the site. Founded and based in Toronto, Codeproject boasts a grand library of helpful information and tons of contests with an emphasis on a community sharing culture. We were so happy to have them come in and talk to us, especially since they are celebrating their 14th year and their 10 millionth member! 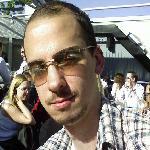 Check out their site and community here and their new Codeproject.TV initiative! Our second speaker was Michael Siu and Raymond Tsang from IdeaNotion. A lover of all things open (open source, open data, open gov… etc. ), IdeaNotion is a lean software consulting firm. They came to speak to us about an easy tool they’ve created for you to use: IdeaPress. “a platform that empowers the transformation of WordPress websites into mobile apps” Create a feature rich app through a step-by-step creator. Michael showed us an alternative approach to handling buggy apps and showed us how an hybrid app (native & HTML5) could automatically push updates directly to users without republishing the app. 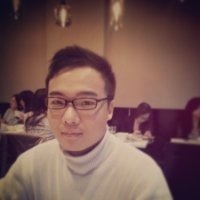 Check out the Github on IdeaPress here. A big thank you (again) to Polar Mobile for hosting, and a big thank you to our event photographers, Chow Productions. We have posted our event photos here and here. Try and find your face! 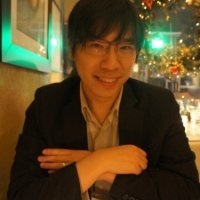 See you at the Toronto Tech Social Wrap Up on December 3rd. Grab your tickets for only $10.00! There will be GREAT prizes you guys can win (and support the Toronto Tech Community and Daily Bread Food Bank. The DevTO Team thanks you, Toronto Tech community for making each and every one of the last Mondays of each month more amazing than the last. Here’s to 2013, and here’s to what’s to come in 2014! Gary Vaynerchuk: Keep up the phenomenal hard work Toronto! Gary sends a shout to the #DevTO community and the Toronto tech community at large to keep up the hustle and the phenomenal hard work! Gary for those that don’t know is the founder of WineLibrary.com, WineLibrary TV and more recently Vayner Media. Hey everyone, earlier this week we announced our new gold sponsor, Myplanet Digital is hosting a great series that could land you a job! If you’re looking to improve your skill set and brush up on your web developer and Drupal know-how, you should check out the World of Webcraft educational program. Myplanet is piloting an exciting FREE educational program beginning in January. World of Webcraft is part-time, 12 week offering that welcomes junior web developers and freelancers who are looking to enhance their skill sets. For the first month of Webcraft, participants will learn the basics of the Myplanet development process and project lifecycle. Using Drupal as our content management platform, hands-on exercises and challenges in class will deliver a thorough understanding of this open source framework. Beyond the first month, learners who exhibit a solid grasp of the concepts may be invited to take part in the “play & earn” phase for the remaining 8 weeks of the program. They’ll work on real client tasks that will support Myplanet production teams and will be compensated for their work. It’s an unparalleled opportunity gain first-hand, paid development experience with the guidance of skilled mentors. Webcraft classes will take place on Tuesdays, Wednesdays and Fridays from 9AM-5PM at Myplanet’s brand spankin’ new office downtown Toronto. Successful completion of the program could lead to a full-time employment opportunity at Myplanet. Anyone interested in applying can get in touch with webcraft@myplanetdigital.com. 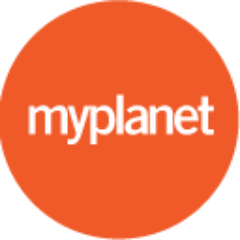 We are very pleased to announce that Myplanet Digital is a new Gold Sponsor! Welcome to the team guys. Thanks for supporting DevTO and the Toronto Tech community. Cheers to you! Myplanet Digital is a design & technology company that “specializes in the practice of envisioning, designing & building digital products.” To find out more about this great company, check out their site (it’s pretty fabulous). Also, they’re hiring! We’re looking for a Junior to Intermediate Front-End Developer for an onsite contract. The ideal candidate is an HTML/CSS programmer with the drive to make things pixel-perfect. From speedy Photoshop skills to solid cut-up work that generates valid HTML 5, XHTML and CSS markup, we’re looking for someone who can really make the work sing. If you can look at any website and instantly know how it was built, and what trade-offs were made when balancing the merits of the design against the demands of SEO, CMS, cross-browser compatibility and mobile support – then please give us a call.